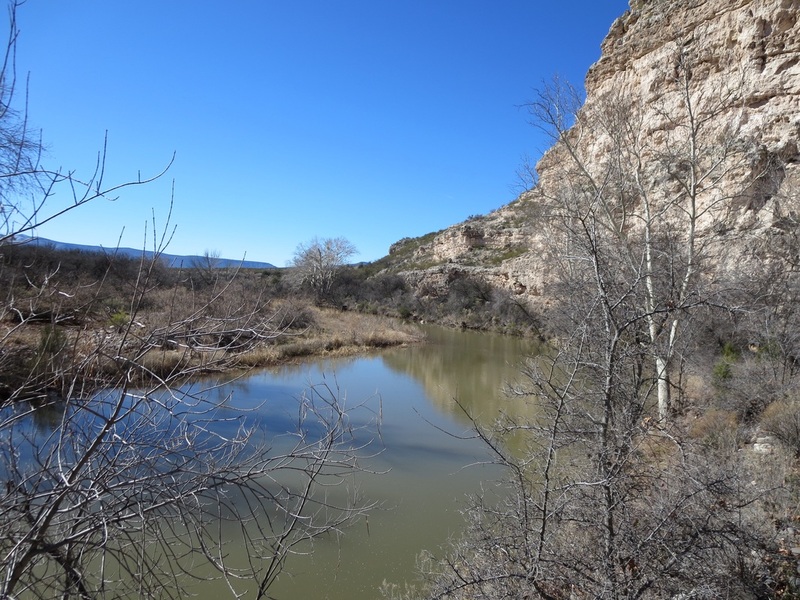 Visitors to Montezuma Castle National Monument will find the park to be a pleasant oasis along Beaver Creek with a short paved trail leading past cliff dwellings once occupied by Southern Sinagua farmers. The main dwelling, high on a limestone cliff, is no longer accessible to visitors. The Sinagua, translated from Spanish as "without water," built the 20-room dwelling between 1100 to 1300. They left the area by the early 1400s for unknown reasons. 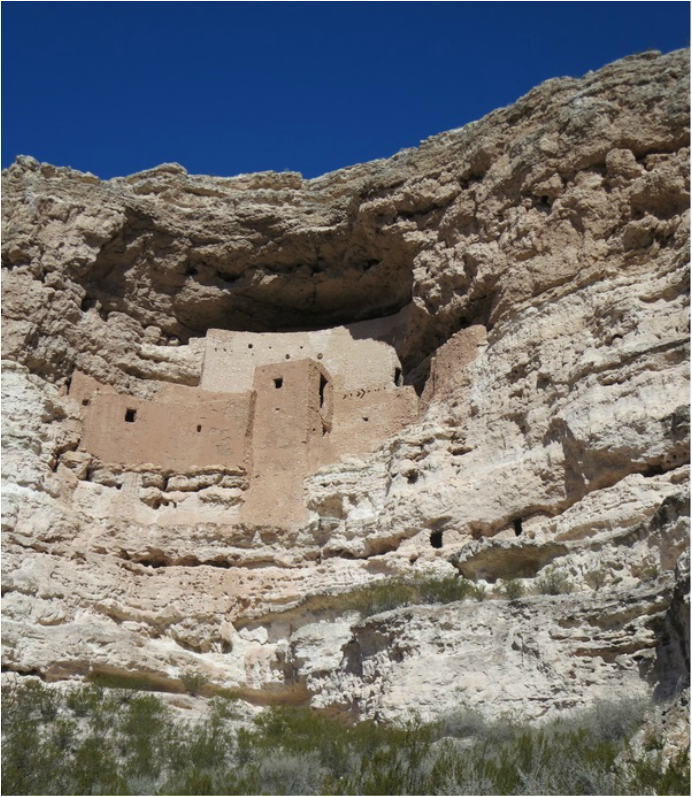 Early Spanish explorers believed the dwellings were the work of Aztecs, hence the name Montezuma Castle. The monument's visitor center includes a timeline showing the castle was built roughly at the same time that Notre Dame Cathedral was constructed in Paris. The church was completed in 1345. 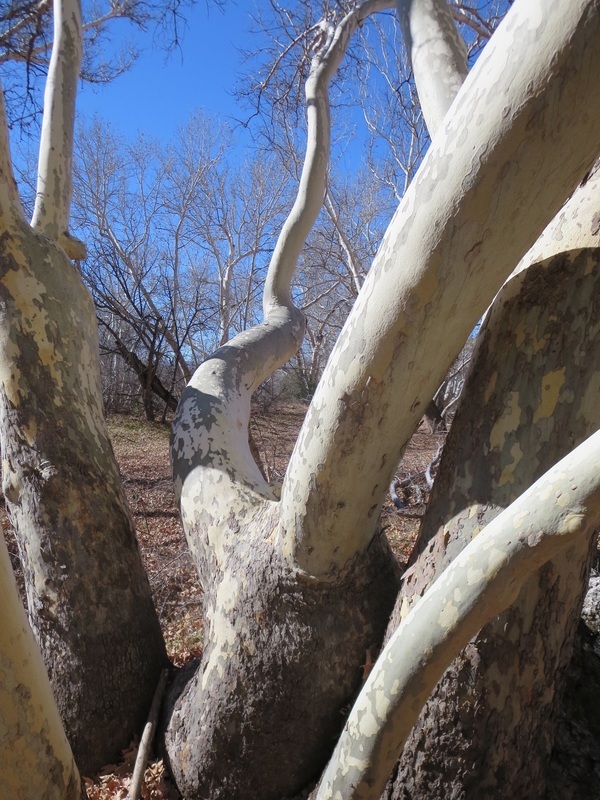 Old sycamores stand tall along the creek. Montezuma Castle, a five-story 20-room dwelling, was built by Southern Sinagua farmers between 1100 to 1300. Beaver Creek provided water for crops grown below the cliff dwellings.